Rare and unissued Art Blakey and The Jazz Messengers with Hank Mobley and Lee Morgan. This session is very rare and never heard before as it was unissued and forgotten in the Blue Note vaults and just recently discovered. The reason why is was lost and forgotten in the vaults wasn't because of the music but because a month later the very same band had a two week engagement at New York's leading Jazz club, Birdland. It was decided to record there and the records were released by Blue Note on a two LP set (later on a double CD set) hence this set by the very same band was rendered moot. The people involved are 20 year old Lee Morgan who is on fire and has his style established. Tenor saxophonist Hank Mobley, who composed 5 of the 6 tunes and was the band's musical director. 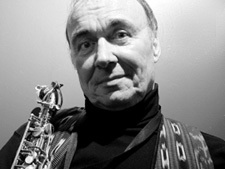 Hank had replaced Benny Golson in this position. The pianist is Bobby Timmons who combines gospel-like figures with a Bud Powell concept.Last but far from least if the band's backbone, bassist Jymie Merritt. This is a fine and energetic session and you're hearing it for the first time right here! Tete Montoliu · Tootie's Tempo.